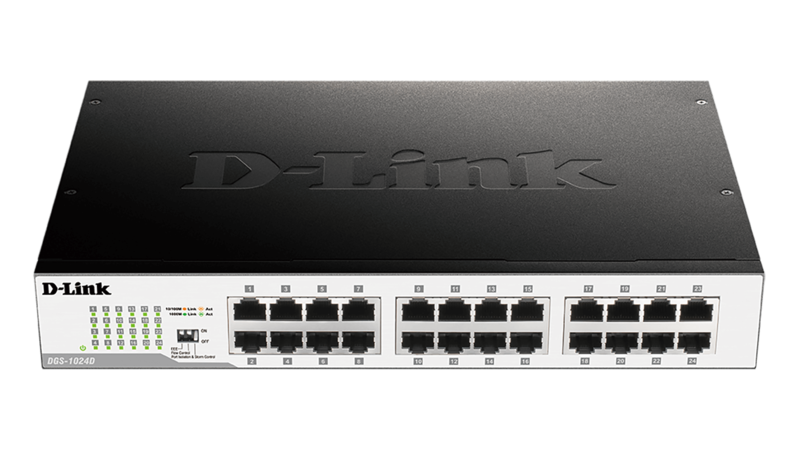 The D-Link DGS-1024D 24-Port Unmanaged Gigabit Switch series offer an economical way for SOHO and Small-to-Medium Businesses (SMB) to take advantage of Gigabit Ethernet speeds while reducing energy consumption and minimising noise output. 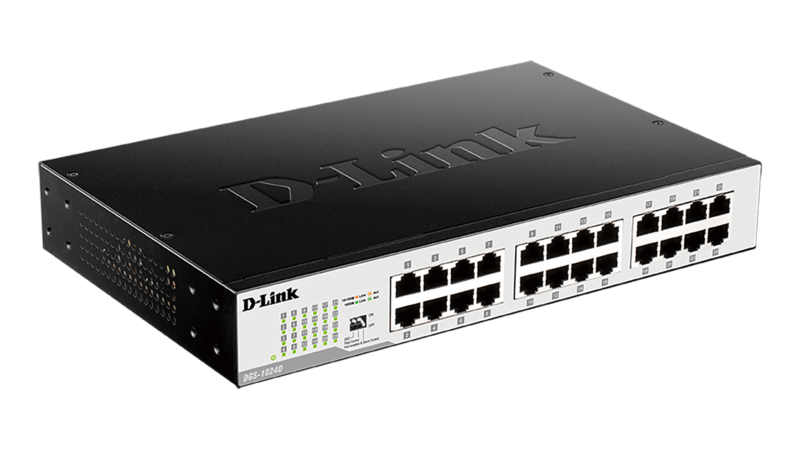 The DGS-1024D switches bring the speed of Gigabit Ethernet to all ports for a truly high-speed network. If your network has a mix of legacy and modern connection interfaces, each port allows for standard Ethernet, Fast Ethernet, or Gigabit Ethernet connections. You have the latest technology available to every computer and device connected to your network. The DGS-1024D switches incorporate several advanced features to help simplify and improve network management and efficiency. Flow Control throttles connections to ensure reliability during heavy usage periods by reducing packet loss and wasteful data re-transmission. In addition, Storm Control and Port Isolation mitigate the effects of broadcast storms caused by rogue software and malware, which can propagate across the network and bring communication to a standstill. The DGS-1024D feature a durable, compact metal case alongside a fanless design allowing for improved heat dissipation while maintaining silent operation. 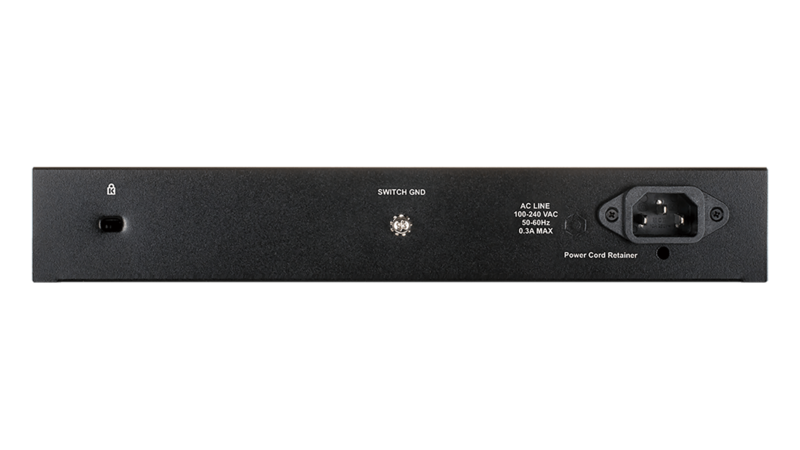 The 24-Port Gigabit Unmanaged Switch series is small, lightweight, wall-mountable, and is ideal for any business with demanding requirements and a small budget. The 24-Port Gigabit Unmanaged Switch series helps you conserve energy automatically through several methods. Link status detection automatically powers down ports that have no link, allowing the switches to save substantial amounts of power by cutting power usage for unused ports or any ports connected to computers that have been shut down. Meanwhile, Energy-Efficient Ethernet (EEE) conserves energy by dynamically reducing power consumption when data activity is low. These environmentally friendly switches are also RoHS compliant, use recyclable packaging, and minimise the use of harmful substances. These green features combined, provide more energy savings and a longer product life, without sacrificing operational performance or functionality.